Home Sports Sports in Pattaya & Thailand Anyone for tennis? Tennis has long been a popular sport here in the Kingdom of Thailand, made more so in 2003 when home grown talent Paradorn Srichaphan reached a career high at number nine on the world rankings. 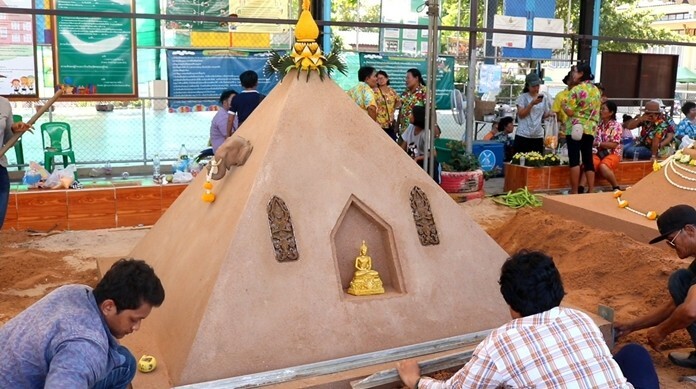 Local ITL members make a donation at the Father Ray Foundation children’s home in Pattaya. 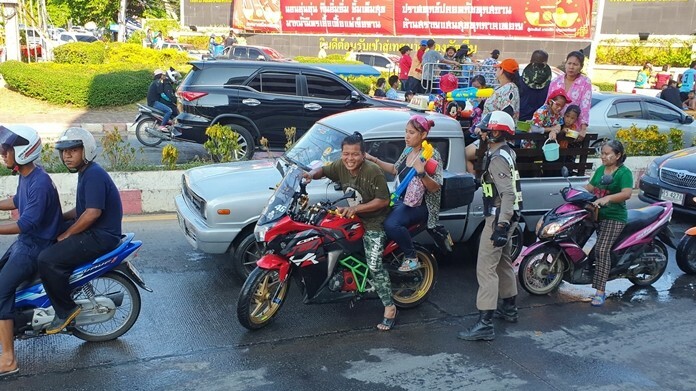 Compatriot Tamarine Tanasugarn may not have reached the same rankings as her male counterpart, but for more that twenty years, until her retirement in June 2016, she became a household name and a sporting superstar here in Thailand. In 2012 the Thai Tennis Lovers was set up by Belgian national and long time resident in Thailand, Mark Kolenberg, to not only encourage more people to play tennis, but also to offer its members advice on improving their game, nutrition and fitness. In 2016 the organisation changed its name to the International Tennis Lovers, ITL, and currently there are more than seven hundred members worldwide, many who are Thai, or live in Thailand or have an association with the country. In early December the First ITL International Tennis Championship took place at the Melita Tennis Club, located at Na Jomtien soi 27. 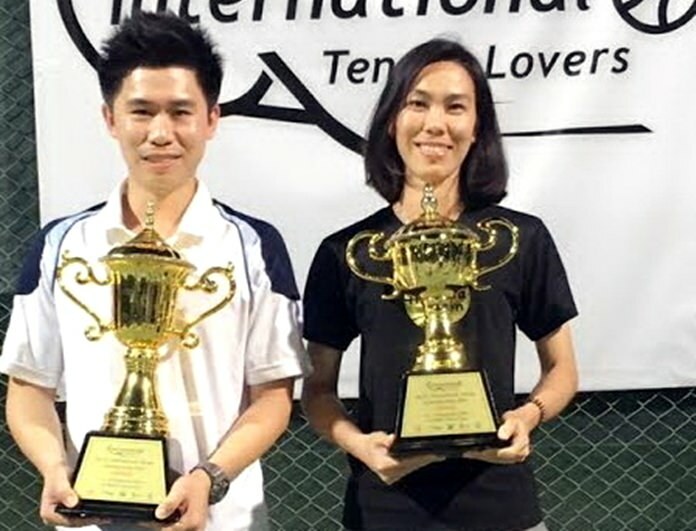 The three day mixed doubles tournament saw sixty four players from twenty countries competing for the winner’s trophy, which was won by alumni from Thammasat University, Nattapat Anusithajul and his female partner Punjaporn Ditthin. 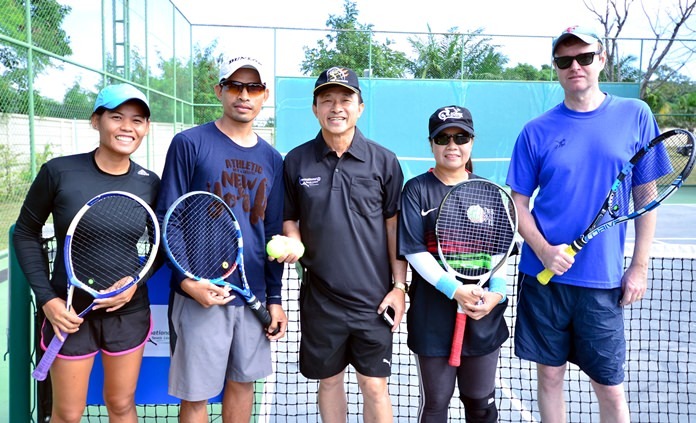 Air Marshall Dr. Channonnat Theplib (centre) officiates the first match of the ITL doubles tournament in Na Jomtien. 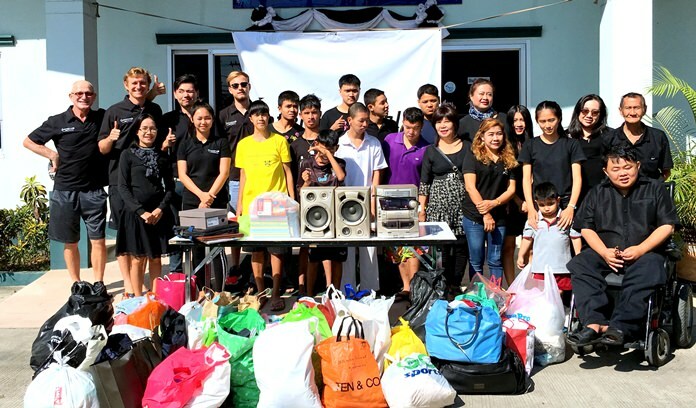 But not only do the members of ITL play tennis, they also raise funds and goods to donate to the Father Ray Foundation, Pattaya’s largest charitable organisation, today taking care of and educating more than 850 underprivileged children and students with disabilities. The ITL is open to players of any level, any age, gender and ability, you don’t have to be a future Grand Slam champion to join, you just have to enjoy playing the game. More information can be found at www.internationaltennislovers.com. Tournament winners, Nattapat Anusithajul (left) and Punjaporn Ditthin pose with their trophies.